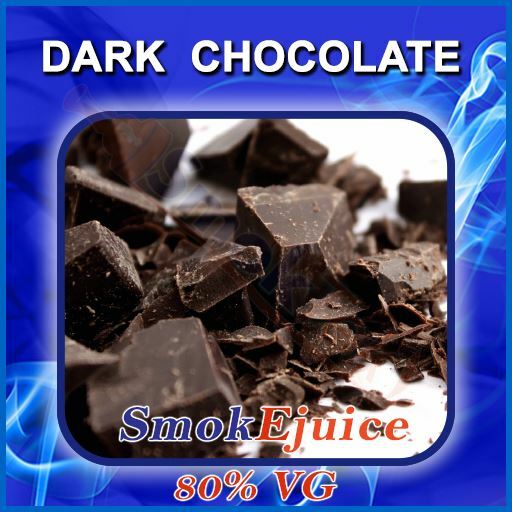 Dark Chocolate SmokEjuice - 80% VG Premium Natural E-Liquid, Made in the U.S.A. Dark Chocolate SmokEjuice - 80 % VG Premium Natural E-Liquid, Made in the U.S.A.
Rich, semisweet dark chocolate that is delicious on its own or mixed with your favorite dessert blends. Sub ohm builders and vapers who enjoy dripping say this juice is like "diving into a wave of chocolate" - and we concur! If you're a dripper, you must try this one. 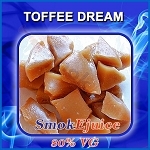 Our 20PG/80VG blend is perfect for dripping and sub ohm vaping! It will work best when used with rebuildable atomizers and sub ohm clearomizers. This blend will not work as well with CE4/CE5-style clearomizers - we recommend our 40PG/60VG version for use with those. Please Note: Due to popular demand, SmokTek is moving away from glass bottles and switching to using plastic bottles for all of our e-liquids. If you prefer glass to plastic, please select a bottle size notated as "glass"* in the selection menu (*while supplies last). All other sizes will arrive in plastic. Premium Natural E-Liquid made with the highest quality, USP food grade PG/VG (20/80%) and natural flavorings. Taste the difference! Superb - completes my recipe for a Marlboro! It was the final ingredient!